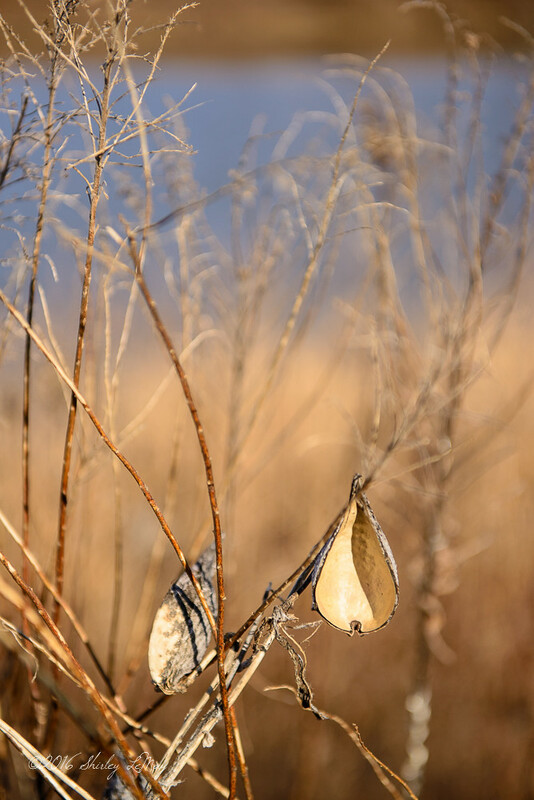 I though this empty milkweed pod looked like a cozy chair, maybe suitable for a little bird. Or, if you filled it with peanut butter and birdseed, a place to eat. Remember those pinecone bird feeder creations you made in grade school, drenched in sticky peanut butter and coated with seed? I don't think kids make those anymore - maybe too messy... but for those stuck at home because of the weekend blizzard, perhaps a great activity to benefit the birds. Speaking of birds, I learned about the cutest Lego Bird set while watching a Lego documentary and had to buy it. 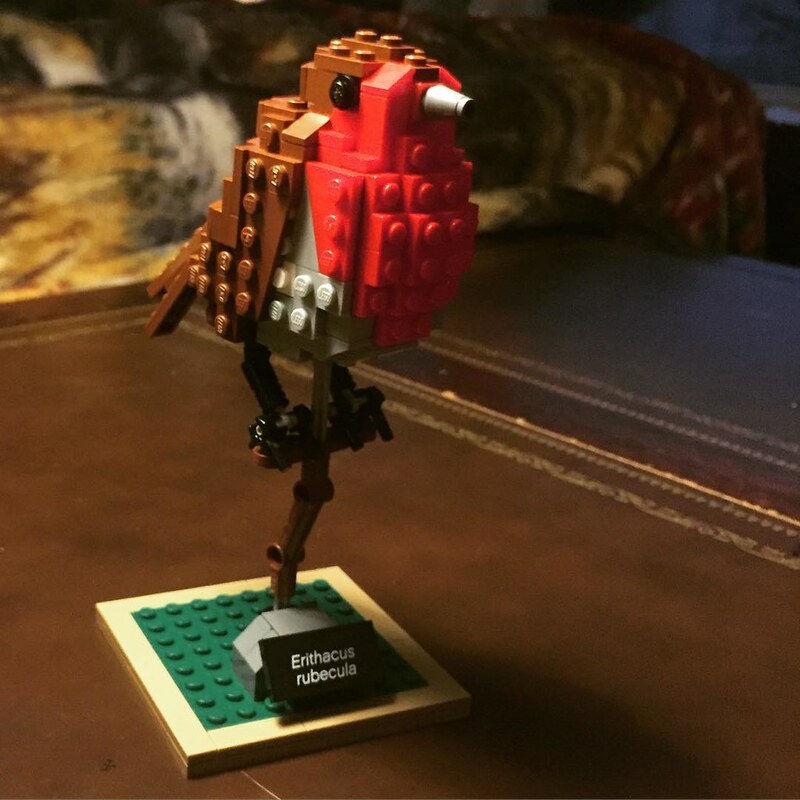 The Lego Birds features three beautiful birds, intricately designed and rendered - the European Robin, North American Blue Jay and South American Hummingbird. While I bought it for myself, my son immediately took to building the Robin, and completed it in 15 minutes. I built the Blue Jay (it was pretty complex and fun), then we shared duties on the hummingbird (truth be told, I was merely the assistance in this endeavor). Highly recommended if you are a bird fan. I believe the designer, gardener and bird enthusiast Thomas Poulsom, is developing additional birds for future sets. 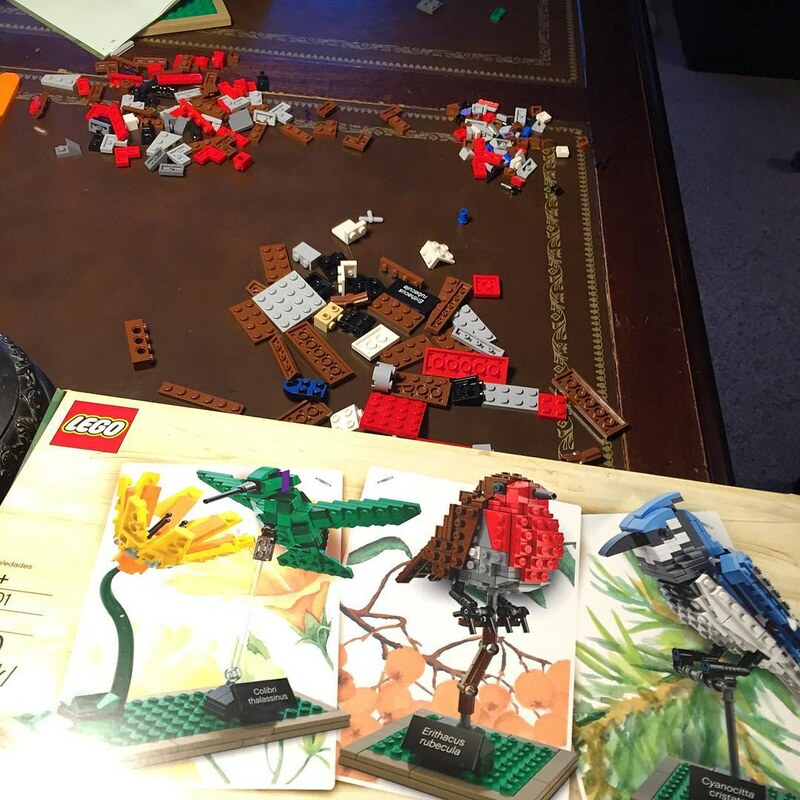 Update - Lego Birds 2 is in the gathering support phase at this link: Lego Birds 2. I am excited to see the Cardinal included in this next set. Lego knows no limits - these are pretty cool. It really does look like a cozy chair, Shirley, and what a beautiful photograph this is. I see Lego birds in my future! Shirley, the milkweed pod reminds me of those 60’s swings that people used to have indoors. Some of my grands love legos. I think you have to have a logical sort of mind.